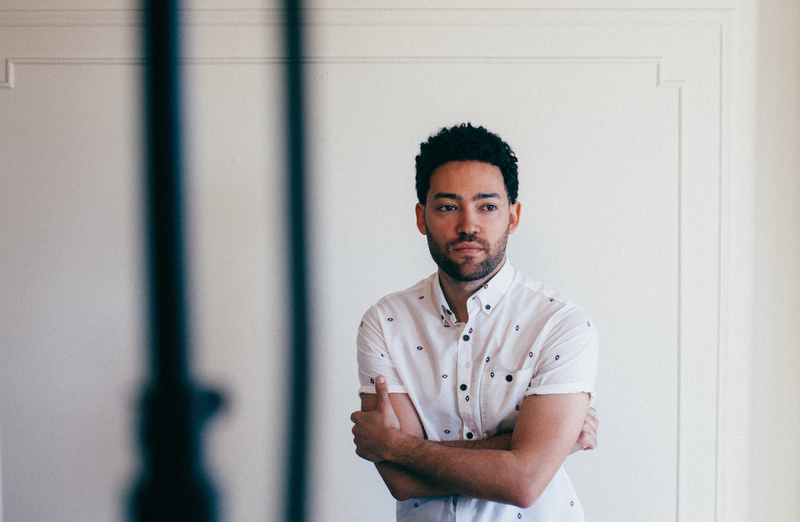 Brooklyn-based producer, composer, pianist, DJ and live musician Taylor McFerrin released his first full length LP, Early Riser, in June 2014 on Flying Lotus's Brainfeeder record label. Taylor's musical style is equally influenced by the legends of 60s/70s Soul, the kings of the Modern Beat Generation, Golden Era Hip Hop, free form Jazz and Electronic music. By playing all of the instruments on his productions, while also relying heavily on sampling and chopping up his live takes, he has found a sound that seamlessly bridges myriad musical worlds and draws the listener into a constantly shifting audio soundscape. “I spent years laying down tons of tracks,” McFerrin explains, “and I got into a really bad habit of never really finishing anything. So this last year the concept was – let me go back and find all the stuff that really felt right, the stuff that felt like an honest moment of creation for me, and just force myself to finish those tracks.” From the opening build of “Postpartum” onwards, you know you’re in for something pretty special with “Early Riser.” It’s a smoldering, dream-like, intensely beautiful record. Tracks like “Degrees of Light” and “Stepps” establish a sun-up mood in their opening few bars and then develop it, the organic live feel perfectly balanced by the snap of their programming. If McFerrin’s own voice on a track like “Florasia” adds a genuine neo-soul emotion, his guests are sensational. From Melbourne’s Nai Palm (of Hiatus Kaiyote) on “The Antidote,” through Emily King on “Decisions” (“one of the best singers alive in my opinion” – McFerrin) and on to labelmate RYAT’s lucid vocal stylings on “A Place In My Heart,” each adds a different mood and lift to the music they’re involved with. Taylor’s father, the legendary Bobby McFerrin, teams up with Brazilian master Cesar Mariano on “Invisible / Visible” for one of the jazziest moments on the record. Robert Glasper, Thundercat and Marcus Gilmore also provide their substantial jazz chops to “Already There.” But the key to the whole record is the balance, which McFerrin keeps throughout – between his guest’s individuality and his own vision, between the styles of music he loves, between a feeling of intense, sunlit joy and a deep aching sadness, which, it could be argued, is a definition of soul. Since creating a major buzz with his first EP, Broken Vibes, McFerrin has toured worldwide as a one man show and has played major festivals such as Lollapalooza, Glastonbury, The Big Chill, and Gilles Peterson's Worldwide Festival. In his home base of New York City, he has performed at such legendary venues as The Apollo, The Blue Note, Radio City Music Hall and The Lincoln Jazz Center opening up for artists such as Erykah Badu, The Roots, Nas, Talib Kweli and Robert Glasper. In addition to producing and performing, Taylor has served as the Head Instructor of the pioneering Beat Rockers program over the past 4 years, teaching beatboxing and musical self-expression to students who are blind and/or have multiple disabilities at the Lavelle School for the Blind in the Bronx. Taylor's ability to create and evolve musically by drawing inspiration from all corners of his life translates into a music of exceptional honesty and emotional directness, deep sophistication and effortless style.